Fire Extinguishers are the easiest and fastest way of protecting you and your business when a fire occurs. Over 90% of all fires are first extinguished using a portable fire extinguisher, and countless lives are saved thanks to diligent fire extinguisher testing and maintenance. Jim’s Fire Safety service clients across Sydney. 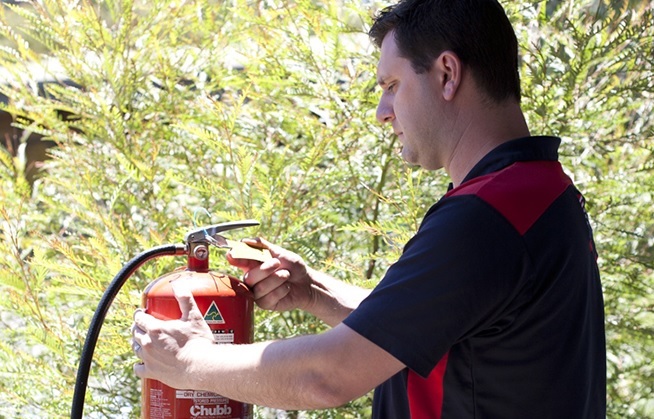 Our Sydney based service technicians are well equipped to test your fire extinguishers and equipment and provide you the information you need to avoid risk. As a business owner or manager occupying a building in Brisbane (Queensland), you have a legal obligation to ensure the safety of any person in that building in the event of a fire or other emergency. Read more about the laws of fire safety in Brisbane. Fire Extinguishers are the easiest and fastest way of protecting you and your business when a fire occurs. Over 90% of all fires are first extinguished using a portablefire extinguisher, and countless lives are saved thanks to diligent fire extinguisher testing and maintenance. If you’re considering making changes to your building’s scheduled fire safety measures, enforceable by law, you must seek council approval before making such changes. Read more information about Fire extinguisher information for business.